Salt is an apprentice sun fairy, best friend to Sugar and Pepper. He's cheerful yet somewhat stubborn in nature. 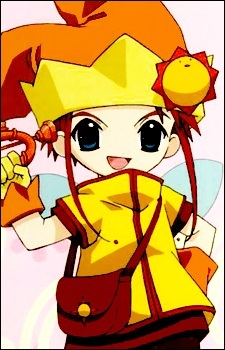 Although he is rebellious towards his father, he has a strong desire to become a good and well-trained sun fairy. He dislikes dishonest things, and is a good person. His instrument is a trumpet.